Larry D. Welch was born on 9 June 1934 in Guymon, OK, and graduated from Liberal (Kansas) High School in 1952. He is an Eagle Scout and recipient of the Distinguished Eagle Scout Award. Welch enlisted in the Kansas National Guard in October 1951, serving with the 161st Armored Field Artillery until he enlisted in the U.S. Air Force. In November 1953, he entered the aviation cadet program and, upon completion, received his pilot wings and a commission as a Second Lieutenant in the U.S. Air Force. He served initially as a Flight Instructor until his assignment in July 1958, to Headquarters Air Training Command at Randolph AFB, TX. He then served in tactical fighter units in Europe, the Continental U.S. and Alaska before transferring to the Republic of Vietnam where he flew combat missions in F-4C Phantom IIs over North and South Vietnam, and Laos. After completing the Armed Forces Staff College in July 1967, he was assigned to Headquarters U.S. Air Force in Washington, DC, under the Assistant Chief of Staff for Studies and Analysis. Upon graduation from the National War College in July 1972, he was assigned to Tactical Air Command, where he served in Wing Deputy Commander for Operations, Vice Commander, and Wing Commander positions. In August 1977, he transferred to Headquarters Tactical Air Command where he served as Inspector General; Deputy Chief of Staff for Plans; and Deputy Chief of Staff for Operations. In June 1981, he became Commander of the Ninth Air Force and Air Force Component Commander for the Rapid Deployment Joint Task Force. In November 1982, he was assigned as Deputy Chief of Staff for Programs and Resources at Air Force Headquarters. 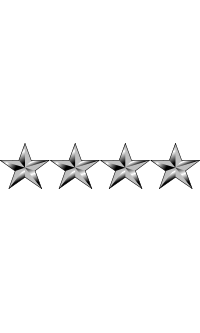 On 1 August 1984, Welch was promoted to the four-star rank of General and became Vice Chief of Staff of the U.S. Air Force. From August 1985 to June 1986, he served as Commander-in-Chief, Strategic Air Command, and Director, Joint Strategic Target Planning Staff, Offutt AFB, NE. 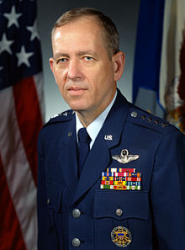 He became Chief of Staff of the U.S. Air Force in July 1986. Welch is one of only two modern service chiefs to have risen from enlisted rank to his service's highest position (the other being Navy Admiral Jeremy Michael Boorda). General Welch retired from the Air Force on 1 July 1990. During his service he became a Command Pilot with over 6,500 flying hours. He received a Bachelor of Arts degree in Business Administration from the University of Maryland, College Park and a Master of Science degree in International Relations from George Washington University, Washington, DC. The General completed Armed Forces Staff College at Norfolk, VA, in 1967, and National War College at Fort Lesley J. McNair, Washington, DC, in 1972. In 1998, Welch spent several months on the Rumsfeld Commission, which reported to Congress on the ballistic missile threat to the U.S. In October 2007, Welch was asked by Robert Gates to lead the Defense Science Board advisory panel that would study the 2007 U.S. Air Force nuclear weapons incident as part of a larger review of U.S. Department of Defense procedures and policies for handling nuclear weapons. Welch briefed the results of the review before the U.S. Senate Committee on Armed Services on 12 February 2008. 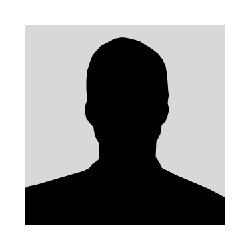 In 2009, he retired as the President of the Institute for Defense Analyses in Alexandria, VA. He is also on the Board of Directors of the Henry L. Stimson Center, a think tank which describes itself as a nonprofit, nonpartisan institution devoted to enhancing international peace and security through a unique combination of rigorous analysis and outreach. He is also a member of the Defense Science Board.